Hello, Tom. Welcome to Blood Red Pencil. You promote and market the works of fantasy writer S. K. Randolph, right? This month at BRP, we are featuring all things Amazon — all things pertaining to writers, that is. Few would argue that any marketplace in the world is larger or more diverse than Amazon. How have you taken advantage of the various avenues available to authors? When thinking of Amazon one must remember that it is a large family of international organizations and businesses. Revenue from the sale of books (printed, digital, and audio books) is a small sliver of the business. Some suggest Amazon is “out to get” self-publishers. The reality is we have a wonderfully flexible and encompassing partner in Amazon, providing opportunities for many a person who would never have made the “cut” imposed by the publishing houses of yesterday. For authors Amazon can act as the manufacturer, distributor, and retailer. Amazon’s CreateSpace manufactures print on demand (POD) books, ACX creates audiobooks, and Amazon creates the e-book files. On Amazon’s Marketplace, an author can sell printed books from traditional printings (as well as a million other physical items). We initially got involved with Amazon by placing S.K.’s first book, The DiMensioner’s Revenge, with them in 2011. We later added the rest of the books in the trilogy and ten companion shorts and made them available as Kindle e-books as well as POD. In its role as a global online retailer, Amazon presents a fantastic avenue for self-publishers. Do you find all options offered by Amazon to writers are equally viable? Or have you found that different genres may benefit differently from certain options? There’s no lack of opinions, some free others for sale, on how to “make a killing” selling your book on Amazon. I have a couple favorites, but this is still an evolving market with changes happening daily. Have you found the broad appeal of S. K. Randolph’s books to make your Amazon marketing easier or more difficult? Amazon marketing is limited, so it’s most important to ensure the piece has properly identified categories, a selection one makes in the meta data when uploading the work, as well as the seven search keywords. Here’s another option: if you are willing to give Amazon exclusive sales rights, the e-books can be promoted with discounts and promotions through the KDP program. Having the books on Amazon is necessary but not sufficient for sales success. Bear in mind the usual marketing and promotion is still your responsibility. Sometimes there are surprises. The magic of the Amazon computer analysis can sometimes place your work in front of a wealth of interested buyers one day but not the next. It is all in the Amazon algorithms. Such a massive store may be intimidating to some newcomers. How do you recommend a first-time writer approach Amazon book marketing? First and foremost, have a good product—well written, edited, copy edited, rewritten, proofread, and so on. The days of dumping slapped together junk on Amazon is over. Format it yourself if you can. Otherwise, budget money for help with POD and e-book formatting. Again, make sure it is well done. Amazon recently announced it will be removing e-books that have had too many complaints about formatting. Consider starting with the Kindle format first; then move on to POD if there is traction with the e-book. What would be your best advice to those of us who want to take advantage of selling books via Amazon. The best advice I can offer is “try it.” The barrier to entry is very low. Amazon charges you nothing to place an e-book or a CreateSpace POD publication with them. So why not? In our case, if it weren’t for Amazon and e-books, none of this would have played out the way it did. The next advice is prepare to change. Once you think you have everything figured out, it will change. But not to worry, it will change again tomorrow. We found some things seem to work and others not. S.K.’s Companion Shorts offered in between the novels, for example, found favor with some readers. The trilogy has been a hit with many fantasy buffs, as well as readers of all ages who are exploring that genre for the first time. As the technical guy, I have come to appreciate the amazing power to quickly try, correct, or delete e-books. I can correct typos or modify them and have them updated on thirteen Amazon e-business sites around the world in the matter of a few hours. A sale in Japan one day and the US and UK the next are fun to track. Running a free promotion of an e-book and watching it become the #1 download in its classification in Germany that same day is all fun. It happened to us. It can happen to you, too. 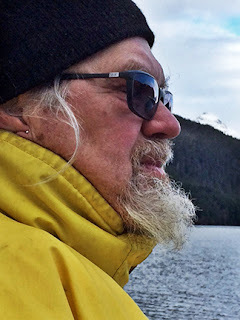 Raised on an island in the middle of the Mississippi River, Tom Krantz has done much of his best work on islands: Hawaii, Bermuda, Sicily, and now Baranof Island. Technology has changed a lot since he ventured into marketing in a Fortune 50 company in the 80s, but marketing principles of building awareness and preference continue to apply in the Amazon arena. He now finds more accessibility and reach though the Internet in an instant than he had through that “ancient” corporate model. He lives with his favorite author, the beautiful S.K. Randolph, on a boat cruising the southern coast of Alaska. They spend their summers out in one quiet cove or another, cut off from civilization. S.K. writes and Tom studies the tide (when not fixing something on the boat.) Their days are interrupted by bears, eagles, and whales…they thank them for visiting and enjoy being one with nature and with each other. In the winters they are back ashore, connected to the Internet getting more product out. Interview by Linda Lane. 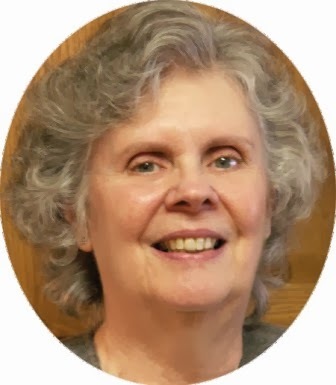 Together with her editing team, Linda mentors and encourages writers at all phases of the writing process. To learn more about what they do, please visit them at www.denvereditor.com. Amazon continues to make the publishing process easier and to spread their markets across the globe. They provide the tools. You have to utilize them. You're right on, Diana. I chose to interview Tom because he has shared with me over many months the reasons why I need to better educate myself about Amazon's tools for writers. He tells me about their updates and changes after he reviews them and urges me to move forward. Amazon doesn't do everything for us, he reminds me, but they give us the tools to do it ourselves. It's working for them, and it will work for me -- I just need to get onboard, ditch the life jacket, and jump in the deep water. Great advice. Yes, marketing is essential with such vast competition to buck. I like the open-minded philosophy of Mr. Krantz. Yes, it's a trial and error publishing platform, and he has the right idea of how to go about it. Plus, he's a marketing guru. Very informative post. I so appreciate Tom's thoroughness. He has a strong sense of what may work and what may not. Then he puts his instincts to the test and tries out the possibilities. His approach is right on. This is the reason I interviewed him; he brings experience we all can use to the table. Always encouraging to hear of a successful author ... even though she as a ringer in her corner. Huzzah, Tom, for slaying the giant in the forest. Yep, Tom's really good at checking out the latest writing news, views, and perks in general and Amazon tools specifically. They're a great team.